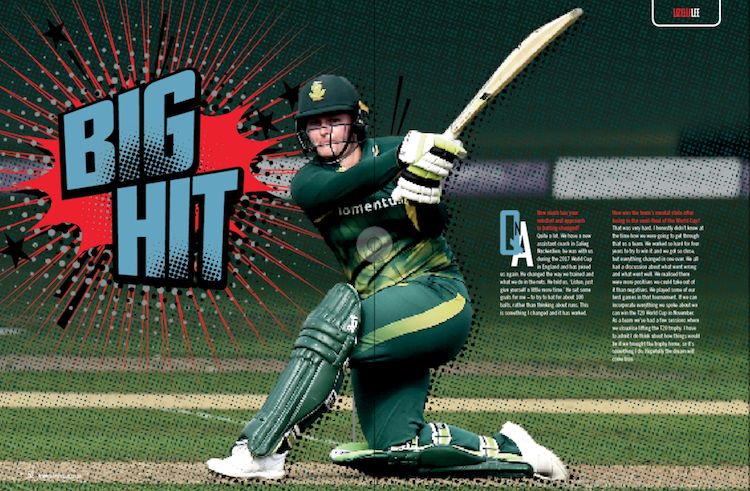 The Proteas Women will rely on Lizelle Lee to bring the fireworks as they go all out to win the World T20 in the West Indies, writes KHALID MOHIDIN. How much has your mindset and approach to batting changed? Quite a lot. We have a new assistant coach in Salieg Nackerdien; he was with us during the 2017 World Cup in England and has joined us again. He changed the way we trained and what we do in the nets. He told us, ‘Listen, just give yourself a little more time.’ He set some goals for me – to try to bat for about 100 balls, rather than thinking about runs. This is something I changed and it has worked. How was the team’s mental state after losing in the semi-final of the World Cup? That was very hard. I honestly didn’t know at the time how we were going to get through that as a team. We worked so hard for four years to try to win it and we got so close, but everything changed in one over. We all had a discussion about what went wrong and what went well. We realised there were more positives we could take out of it than negatives. We played some of our best games in that tournament. If we can incorporate everything we spoke about we can win the T20 World Cup in November. As a team, we’ve had a few sessions where we visualise lifting the T20 trophy. I have to admit I do think about how things would be if we brought the trophy home, so it’s something I do. Hopefully, the dream will come true. You had a fantastic June tour of England, hitting an unbeaten 92 in the first ODI, followed by an innings of 117 in the second ODI, then scored 68 in the second T20I against England. How do you switch your mindset between formats? After the Super League [Lee turned out for the Surrey Stars], I realised that as soon as I give myself a little more time, even if it takes me a few overs to get started, it just happens naturally that I start hitting more aggressively. So even in T20, I approach it like a 50-over game in the first few overs. That gives me the time to see how the pitch is playing and what the bowlers are doing. How important was the recent white-ball series in the West Indies for the team? It was extremely important. We have a few new faces in the squad so it was interesting to see how they would go. The management wants to try a few new variations to see who’s going to play in which position. So after the West Indies tour, we’d know more or less how we’re going to line up for the World Cup. What strengths give your side World Cup-winning potential? We haven’t had a game yet where everything came together for us; there was always something wrong with the fielding, bowling or batting, but I honestly believe we have the best bowling attack in the world. We showed this in the first ODI against England. That’s something a lot of teams strive for. We also bat very low down the order because we have a lot of good batting all-rounders, like Dane [van Niekerk], Marizanne Kapp and Sune Luus. Then we have Chloe Tryon, an explosive player who can dismantle any team at any time, and who we haven’t seen the best of yet. Then there’s ‘Wolvey’ [Laura Wolvaardt], who bats at the top of the order with me. I believe that if we can put together one performance that just clicks, the world will see what we can do as a team. 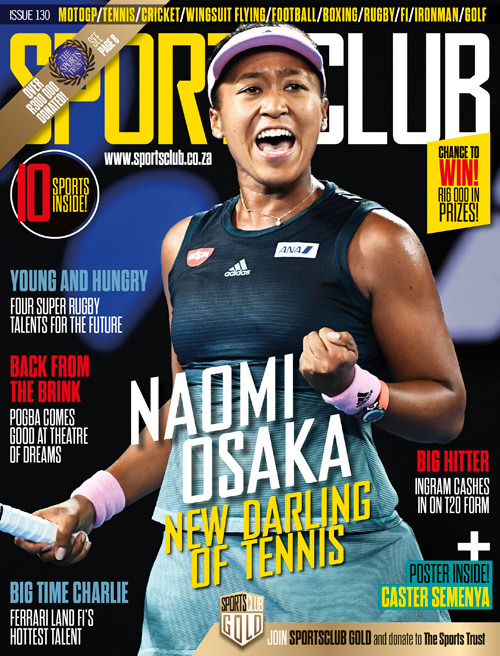 Subscribe to SportsClub magazine here! What will be the key factors for the Proteas Women to win the T20 World Cup? Even though we have plans for different teams, we should focus more on ourselves and executing our game plans. In terms of batting, building partnerships is key. In the past, we would get a good partnership going and then lose a few wickets in clusters, instead of building a new partnership. That is something we need to work on. In the bowling department, the slower ball is very underrated. If you look at how many players got out to the slower ball in the Super League, it’s amazing. I think the team has worked on this during the camps and, hopefully, they get to use it in the games and get the results when we need it. You have started building an amazing partnership with Laura Wolvaardt. We complement each other. She’s a very calm and collected player and has every shot in the book. She settles me down at the other end, so I don’t feel I have to be aggressive from the beginning; she allows me to make my runs the way I like to, which helps her go about run-getting in her own way. Since we started batting together we’ve put together some good partnerships, which sets a platform for the team. What sort of conversations do you have with her in the middle? We try to keep it chilled. Most of the time we don’t talk about cricket – we keep it casual. Wolvey will talk about the plan for the next few overs, but other than that we try to keep it as simple as possible and stay relaxed. We chat about random things to calm us down so we can do the job. How do you steady yourself before you walk out to the middle? I don’t really have rituals. I know Wolvey will tap a golf ball on her bat. Normally, if we bat second, I will have a little nap in between breaks – a quick 10 or a 20-minute nap. I try to take things easy and spare my energy. You have often been labelled a big-hitter. How do you feel about that classification? It’s not a bad thing, but I don’t want to be known just as that. I want to be known as a player who can bat through an innings, especially in the 50-over game. I want to be known as somebody who can work the ball in tough situations.